I am a straight sucker for lipstick and these new joints from NYX are seriously feeding the addiction. When Revlon launched their lip butters I practically bought out the whole drugstore. 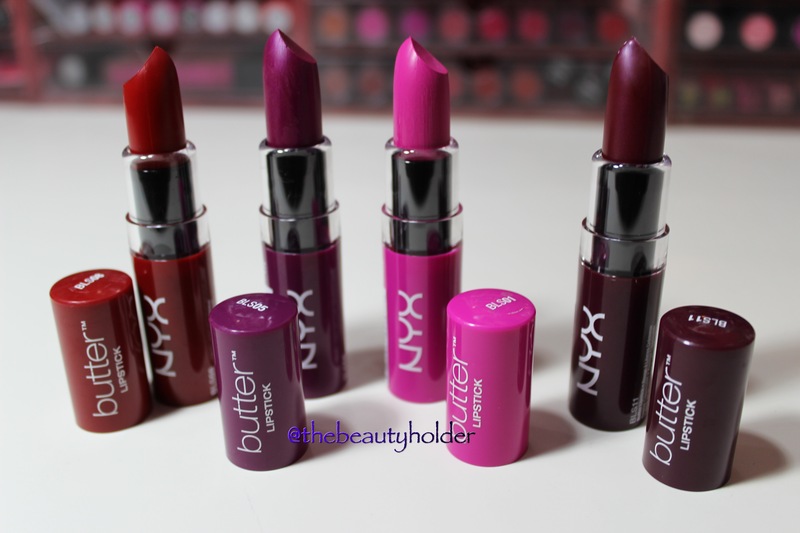 The colour payoff on some of them was disappointing ,however, NYX’s Butter Lipsticks do not have that issue. 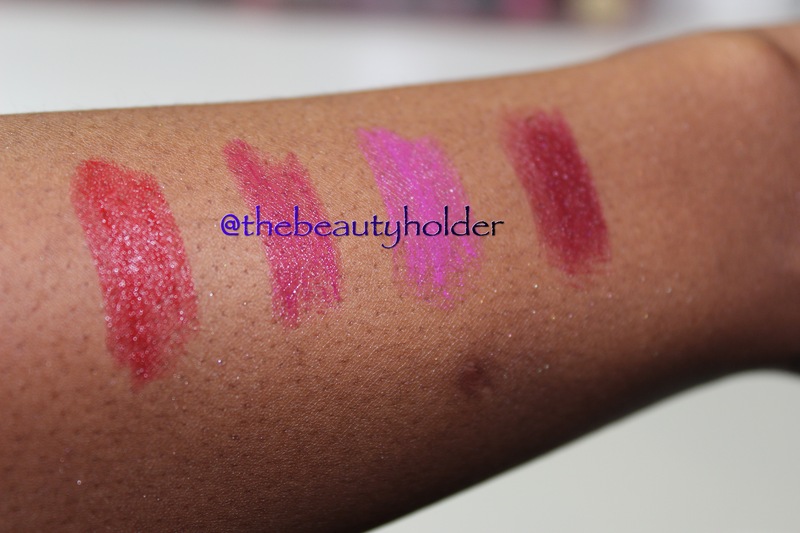 Just look at the swatches below. From L to R : Mary Janes, Hunk, Razzle, Licorice. I could rave on and on but it is simple! Affordable! I got these in Ulta for about $7. In the UK? Check out the NYX site. NYX lipsticks take up more than 25% of my collection. That does not include glosses. They have an awesome range of cosmetics that honestly rival some of the more ‘expensive’ brands. Great Customer Service, deals and offers on all the time. All in all the above are a welcome addition to my ever expanding, intervention needed (again) lippie collection! If you are not familiar with NYX, get familiar. In the US you can even find them at beauty supply stores as well as drug stores. Here in the UK get online and check out your nearest stockists! Oooh they look so pretty and the packaging is awesome too! Mary Janes looks fab! I always liked NYX because they don’t put crazy prices on their stuff! These look so beautiful, I must admit I haven’t tried the butter lips ones but I most probably will. I need these in my life right now!! Protective Hairstyles for Natural Hair!